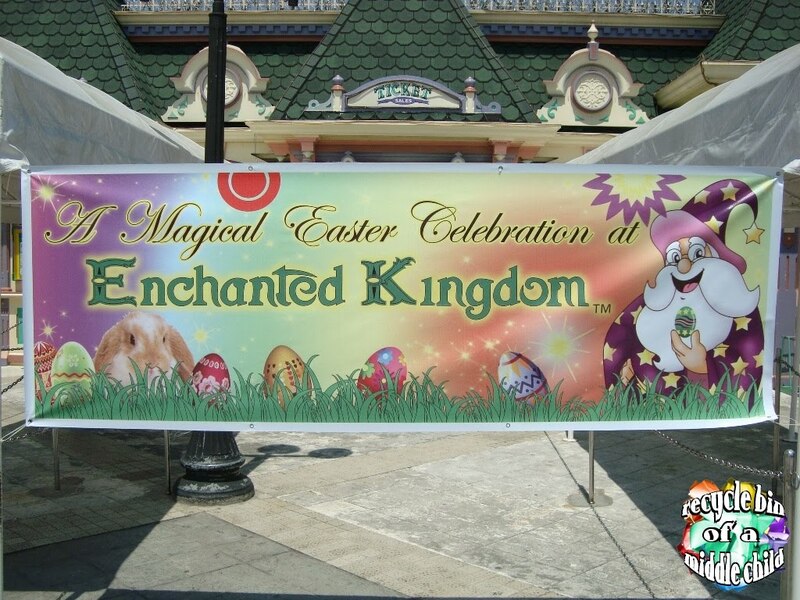 As the world celebrates the resurrection of Jesus Christ and Easter Bunny’s day, Enchanted Kingdom welcomes the latest addition to their theme park that will surely give their visitors a wonderful, magical time – The Zoori’s Adventure! Last Easter Sunday, I had a wonderful opportunity to be one of the guests of Enchanted Kingdom that welcomed Zoori and witnessed the ribbon cutting for Zoori’s place, the Zoori’s Adventure and Tweeter. 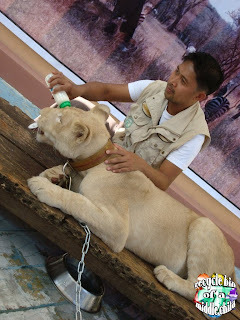 Though, the tweets were not available yet that time, I got the chill and excitement as I saw Zoori, the white lion, moved and played along with her trainer. She is such a beauty and she’s only a year old! I was amazed how big she is! But though, she’s kinda scary, I would love to caress her fur and touch that beautiful face. I was delighted too to see her drinking milk from a feeding bottle, truly she’s still young. 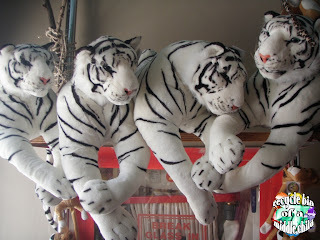 But honestly, I felt sorry for the young fella, because it seemed that she’s not accustomed to the hot weather in Sta. Rosa, Laguna. 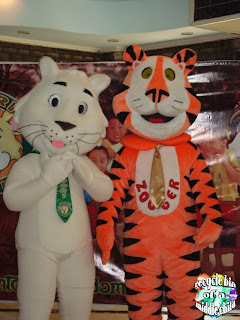 But no worries, organizers of Enchanted Kingdom and Yupangco Group assured us that Zoori will just be there for opening of his Zoori’s Adventure and Tweeter and she’ll be returning back to her “real” place in Tagaytay City. Zoori’s place, the Zoori's Adventure features wonderful and educational stuff that kids will surely appreciate. The attraction is divided into different chambers; a replica of colossal caves where guests will go through doors opening to other realms. 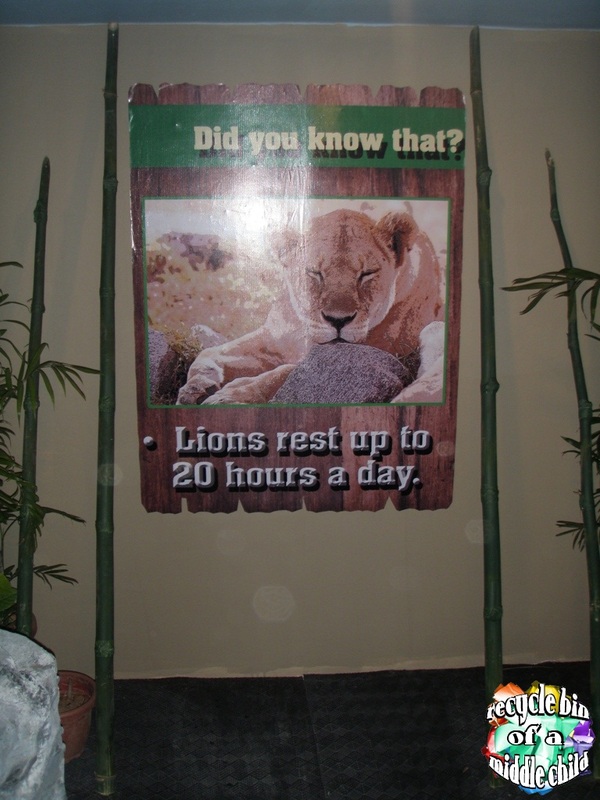 Guests will also have the privilege to learn about the habitat of white lions and how they survive the wild. 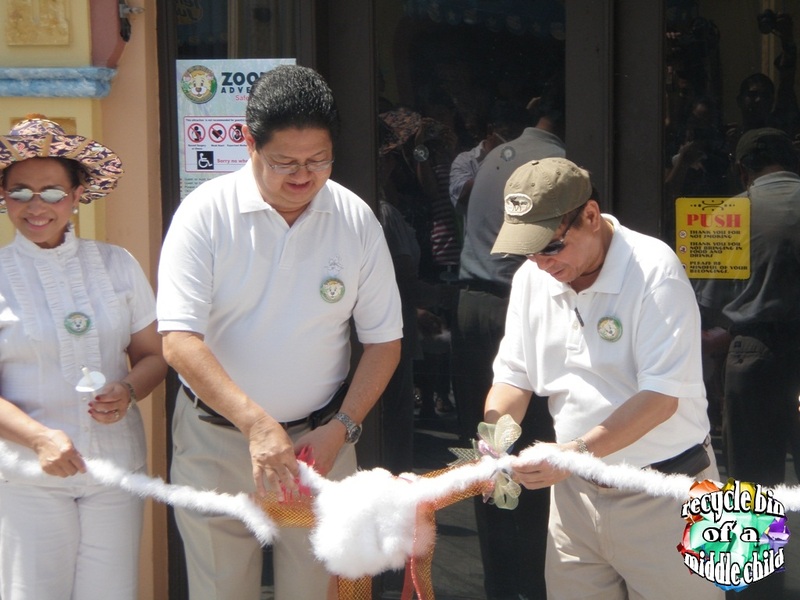 Luckily, all the park goers who were there last Sunday were allowed to enter Zoori’s Adventure for FREE! Wee! 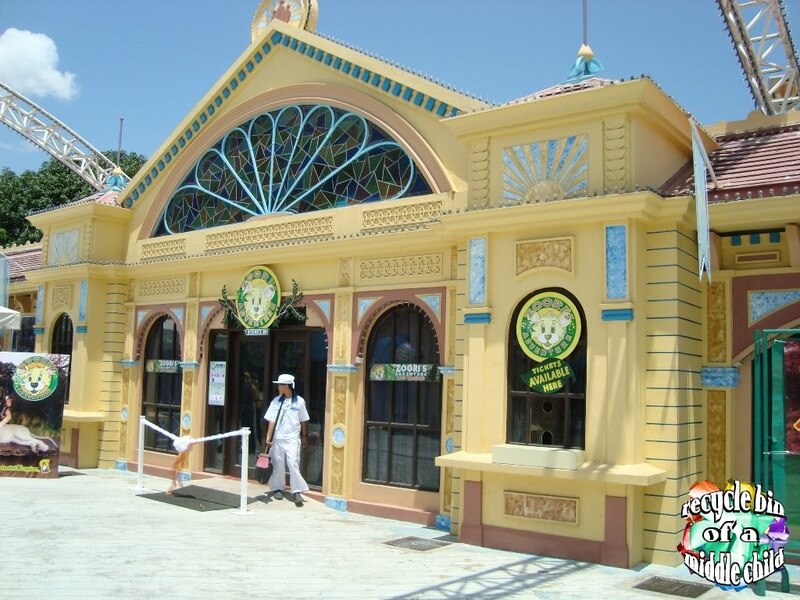 Inside, I found out that Zoori’s Adventure was still under some constructions. Some of the presentation was kinda bored me, so I do hope that they’ll add more mystery to the place, a jungle-ish type of mystery for visitors to truly appreciate this wonderful addition. Because honestly, this idea seemed so promising once everything is in a full swing. I would love to learn more about these white lions. While at the end of this mini jungle tour, the souvenir shop sells stuff toys that are really cool! 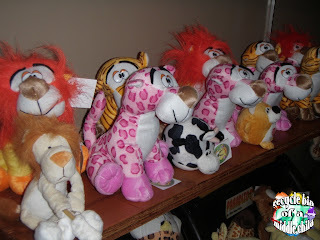 I hope again that on my next visit, I’ll have a chance to see the tweeters! 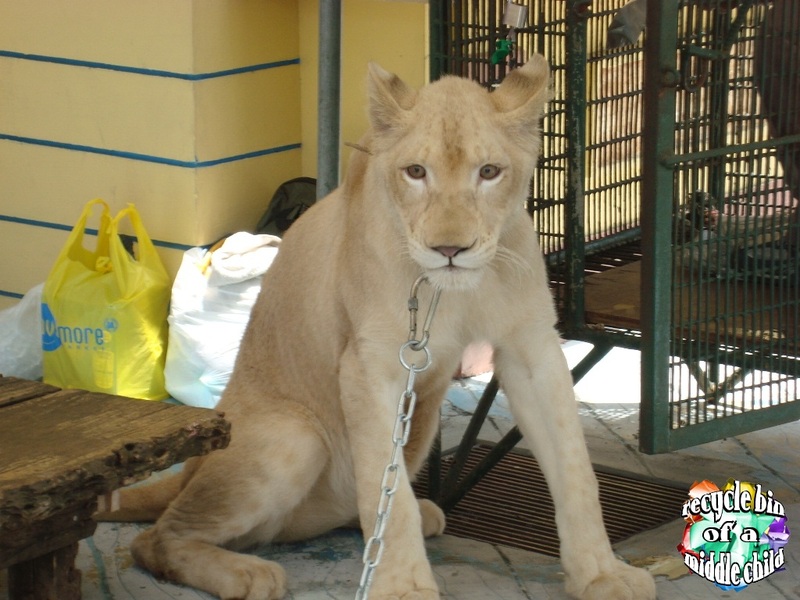 It is so nice to see live exotic animals from time to time to remind us that we, humans, are not just the living things living on Earth, and that we should respect and love all God’s creature! 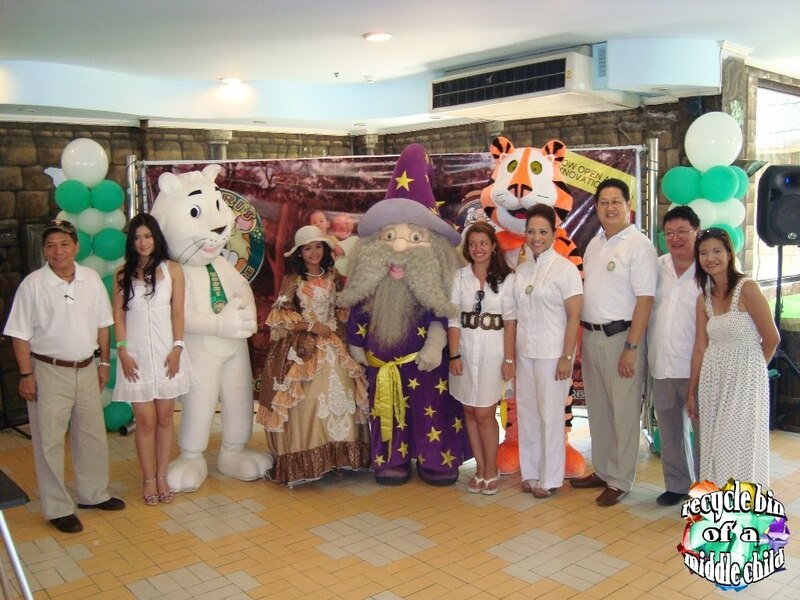 Enchanted Kingdom is currently having a promo for student with their Student Summer EKstravaganza! Students can avail a regular day pass plus an entry pass to SRR: X!!! 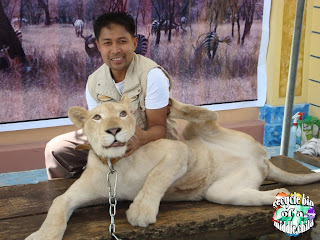 - this is from March 18 to 3 and a regular pass plus an entry to Zoori’s Adventure – this is from April 4 to June 6 for only Php335.00! 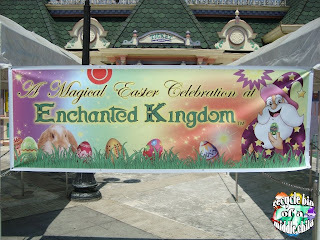 Just don’t forget to bring your present school ID when you come to Enchanted Kingdom to avail this promo. You can contact Enchanted Kingdom office at 584-4326 to 29 or you can visit their website at www.enchantedkingdom.ph. And have a fruitful summer!